Bad movies are like a fine wine… which have been kept in a 90-degree heated cellar for a solid two decades and allowed to further ferment in a vermin-infested outhouse. Besides providing us rare moments across the spectrum of fashion history when neon lycra running shorts were acceptable evening wear and filthy flannel shirts hung over purposefully ripped jeans, the decade that was the 1990’s certainly provided us with a wealth of bad cinema. How bad? The folks at Rifftrax -- who once upon a time gave us one of the BEST things about the 1990s, Mystery Science Theater 3000 -- held a poll where fans decided on the top 20 stinkers from the era. With that said, we are going to do a quick break down of the top 10 results from what the Rifftrax fans voted as the worst from the era when "be kind, rewind" wasn't just a courtesy, it was a warning of dire consequences. 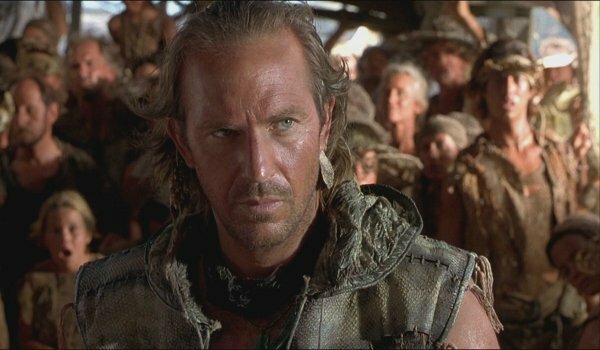 What was, by most standards, a successful summer blockbuster with somewhat of a remaining fan base, the 1995 film was made at the apex of Kevin Costner’s A-list-dom with an obscene $172 million budget. Although, the fact that it actually made a $100 million profit is rarely mentioned. Nevertheless, its maritime theme was appropriate since it was the moment that Costner’s career jumped the shark. It’s unfortunate, because it’s not a horrible film, even though its imagery was bleak and dirty and the unfortunate image of Kevin Costner’s main character giving a good chug to his own filtered urine remains firm in the memories of moviegoers. Hollywood’s instincts to drag whatever flavor of the month (which, in this case, was vanilla) who was making waves in front of a camera and pretend they can act would come at a horrible price. 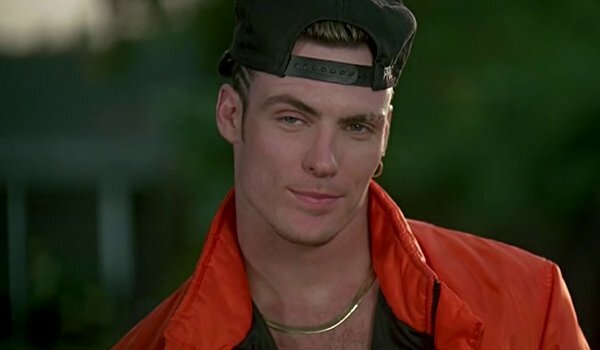 Perhaps influenced by his memorable scene earlier in 1991 in Teenage Mutant Ninja Turtles II: The Secret of the Ooze, aka, the moment Vanilla Ice lost what little street cred he had, this film would get the greenlight. However, by the end of 1991 when this film was released, music fans were already mostly over any "coolness" that Ice was bringing to the table. In the era ruled by MTV product, Beavis & Butthead, the former music video channel’s most colorful personality, Pauly Shore was actually enjoying a movie career and legitimacy in the box-office until this quarantined stinker hit theaters. This is the moment where audiences collectively decided that enough was enough on the bankability of "The Weasel." Co-star, Stephen Baldwin would be relatively shielded from this blast, though the film remains an oddly-sad moment of prominence in the history of his career. Audiences essentially said, "Okay, we do like stupid. But this is just too stupid." It's the film that warned us of the apparently insidious dangers of vegetarianism and explains just how much decorum is breached when you "piss on hospitality." It’s so bad, it’s good, but not so good that it’s forgivable; especially to the dozens of fans who were awaiting a proper sequel to the original Troll and got this, instead. Earning its rightful place on the top of many-a-list of the worst movies ever made, the status of "cult classic" has indeed been bestowed on this clumsy cinematic calamity for the masochistic indulgence of posterity. I will concede that this is 1996’s best film to feature a giant rapping genie to carry the title Kazaam… ever! However, of Shaquille O’Neal’s wide variety of offenses in the annals of popular culture in the 1990’s, this one is makes you want to jam a copy of "Shaq Diesel" into Kazaam’s boom box and three-point it into the nearest pit of lava. This is by no means an instance when we look back in a hilariously elegiac way and ask ourselves, "What were we thinking back in the 90s?" It was clearly bad, and even back then, this fact was more than apparent to anyone. A bleak, rainy mess of a movie in which Ferris Beuller and Leon the Professional track down a giant egg-laying velociraptor escaped from Jurassic Park which had the audacity to call itself Godzilla. 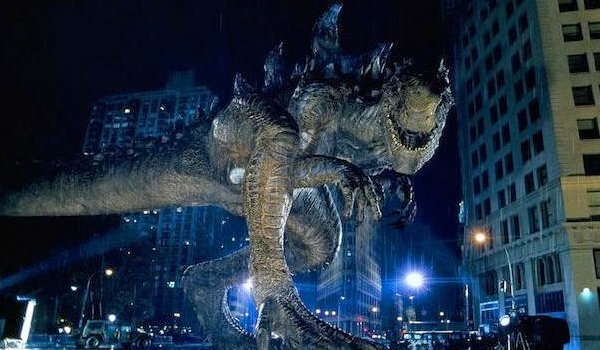 This 1998 attempt to bring the iconic kaiju back to prominence had no shortage of hype and even sported a catchy and heavily-played theme song in which Puff Daddy raps over an old Led Zeppelin song to an audience who was most assuredly unaware of that fact. The film does have its defenders, but audiences did not buy the hype. The trailer made us excited for a spectacular tale set in the waning days of the Old Republic as young Darth Vader fatefully meets Obi-Wan Kenobi, faces an impending civil war, and encounters this awesome looking maniac with a double-bladed lightsaber. 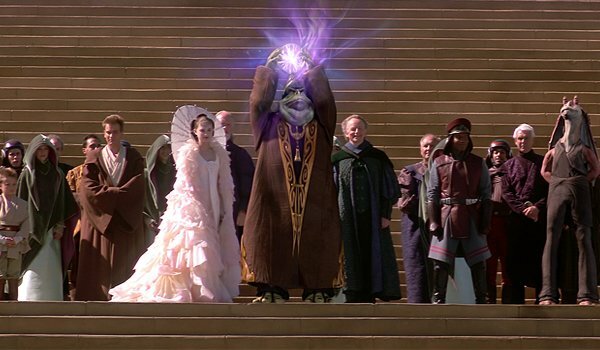 What we got was digital Muppets doing stuff for some unspecified reason across the galaxy. Indeed, an unfortunate lack of focus and micromanaging led to what was the most anticipated film of the 90’s becoming a deflating, childhood-hurting disappointment. You have to grant them that translating one of the most successful video game franchise of all time into a live-action film was no easy task. The result was a bizarre, nonsensical mess of a movie that scared Nintendo off potentially-lucrative live-action adaptations…forever. On paper, one would think that a big-budget epic which pits Bob Hoskins against Dennis Hopper based off a hugely popular franchise would be printing money. Alas, it did not even manage to print enough pixelated gold coins to earn a 1-up. The film remains one of the most notorious examples of why video-game films rarely work. Barring the baggage that was the film’s connection to the Church of Scientology, this was a box-office boondoggle that hemorrhaged a solid $40 million loss for Warner Bros. Nay, it was one of those films that would reside high in the annals of the flop hall of fame, if there was one. The image of John Travolta front and center of the film as a 9 foot dreadlocked alien space slaver named Terl is notoriously indelible and serves as the living embodiment of what fans just did not buy about this film. In all candor, it’s a serviceable space epic, but it’s just too bogged down in puzzling minutia. It's worth noting that this movie's inclusion on Rifftrax's list is a bit strange, given that it was released in 2000. 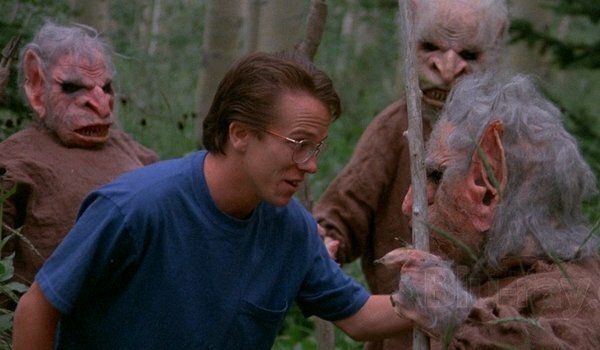 We're not sure how Rifftrax is measuring the 90s, but this is their list, not ours. While the director’s first effort in the franchise in Batman Forever was simply seen as an odd turn for what once was the Tim Burton Batman films, this is the moment that the word, "Schumacher" became a curse word in fanboy circles. I can still personally remember sitting in the theater and being physically uncomfortable as Batman was essentially raked over the coals of this mind-blowing debacle. Overly campy, superficial, nonsensical, weak, insulting, disrespectful, dreadful, ignorant, irritatingly-ostentatious…yeah, we’ll just stop there, for the sake of productivity. This wasn't just an assault on comic book purism or the Batman brand, this was an assault on AMERICA!